My mother was Martha Bell Smith, the daughter of Luanda Smith. Grandma Cindy, a fair-skinned slave, was the daughter of a slave by that slave's master. As a teenager, she was purchased from a white family in Memphis, Tennessee. Her purchaser-a man known to my family as "Cap'n Anderson"-turned out to be my grandfather. Cap'n Anderson carried Grandma Cindy to his plantation near Belarie, Arkansas, in Chicot County. There he raised two separate families "in the same yard." One family was by his wife, a white woman who bore him seven children, the other by my grandmother, who also bore seven. The two sets of children, each child born within two months of its counterpart, were delivered by the same black midwife. One set lived in a large white house in the middle of the plantation. The other, the group that included my mother, lived about a mile away in a small but tidy cabin. The children of both families played together. In fact, I have heard my mother often speak of her white "brothers" and "sisters." According to family legend, one of the white brothers became a prominent Arkansas politician, who went on to serve the state's (all-white) voters for several years in the capitol at Little Rock. My mother told me that she once had called him when she passed through Little Rock. According to her, his voice joyfully greeted her on the telephone. In fact, he invited her to come by the capitol for a friendly brother-sister visit; but, he added, she would have to keep her "little pickaninnies" away. Mother slammed down the phone. As far as I know, she never spoke to her brother again. His white wife sent her the newspaper clipping that announced the esteemed gentleman's death. Grandma Cindy's seven children all kept the name Smith, perhaps in ironic tribute to an earlier master. The oldest was Frank, who was born a slave on his own father's plantation in 1862, during the Civil War. The others were Kitty, Lucinda, Nan, Scott, and Gertrude. My mother, Martha Bell Smith, was the youngest, born in 1892. My mother's memory was that Cap'n Anderson's black children had little use for their white father. When he would call on my grandmother, he often brought them little gifts of candy and the like, but the children all feared him. It was not that he ever beat or otherwise abused them. Instead, it seemed that they all instinctively distrusted the man and rejected what they took to be his immoral ways with their own mother. That attitude always troubled Grandma Cindy, who overlooked the circumstances of their relationship to proclaim that Cap'n Anderson was the only man that she had ever loved and the only man who ever had touched her. When Frank was a very young man, he built a modest house and moved his mother and younger siblings off the plantation. Mother grew up in Dermott, Arkansas. The family baby, she had the best of what little was available, and she was the only one to receive any substantial education. After finishing Dermott's public schools, she graduated from the little two-year teachers' academy in the town and became a schoolteacher herself. Stunningly beautiful, with light skin, hazel eyes, and hair that bore the slightest curl, she was teaching when she met my father, a handsome, very dark-skinned railroad man nearly fifteen years older than she. He was smitten hard and immediately. All of Grandma Cindy's fair-skinned children married extremely dark spouses. His greatest drawback seemed to be his age. I remember her telling me that when he came courting she would tell her mother, "Mama, here comes your beau. He must be coming for you; he's too old for me." Ada Lois Sipuel Fisher, A Matter of Black and White, The Autobiography of Ada Lois Sipuel Fisher (Norman: University of Oklahoma Press, 1996). 7-10. http://www.oupress.com/ECommerce/Book/Detail/690/a%20matter%20of%20black%20and%20white. By putting lay discourses on spacetime from physics into conversation with works on identity from the African Diaspora, Physics of Blackness explores how Middle Passage epistemology subverts racist assumptions about Blackness, yet its linear structure inhibits the kind of inclusive epistemology of Blackness needed in the twenty-first century. Wright then engages with bodies frequently excluded from contemporary mainstream consideration: Black feminists, Black queers, recent Black African immigrants to the West, and Blacks whose histories may weave in and out of the Middle Passage epistemology but do not cohere to it. Physics of Blackness takes the reader on a journey both known and unfamiliar—from Isaac Newton’s laws of motion and gravity to the contemporary politics of diasporic Blackness in the academy, from James Baldwin’s postwar trope of the Eiffel Tower as the site for diasporic encounters to theoretical particle physics’ theory of multiverses and superpositioning, to the almost erased lives of Black African women during World War II. Accessible in its style, global in its perspective, and rigorous in its logic, Physics of Blackness will change the way you look at Blackness. Was first black priest black enough? More than a year after some African-Americans scrutinized the blackness of the nation’s first black president, America’s Catholics are now wrestling with the same questions to determine who was the nation’s first black priest. The debate emerges as the Archdiocese of Chicago seeks sainthood for the Rev. Augustus Tolton, long hailed in Chicago as the first African-American clergyman to serve in the U.S. Catholic Church. …As bishop of Portland, Maine, Healy served another marginalized population: Native Americans. The eldest of 10 siblings, Healy was raised Catholic but attended a Quaker school in New York. In 1849, he graduated valedictorian of the first class at the College of the Holy Cross in Worcester, Mass. He attended seminary in Canada and was eventually ordained in Paris. But he distanced himself from an African-American identity. He declined to participate in African-American organizations and turned down invitations to address the National Black Catholic Congress, citing the New Testament — “Christ is all and in all” — as his reason. James O’Toole, author of “Passing for White: Race, Religion and the Healy Family [, 1820-1920],” said that denial comes across to some as betrayal. To others, it gives a new dimension to the struggle. But he believes contemporary categories or agendas shouldn’t be imposed upon historical figures. The presence of Blacks in a number of European societies has drawn increasing interest from scholars, policymakers, and the general public. 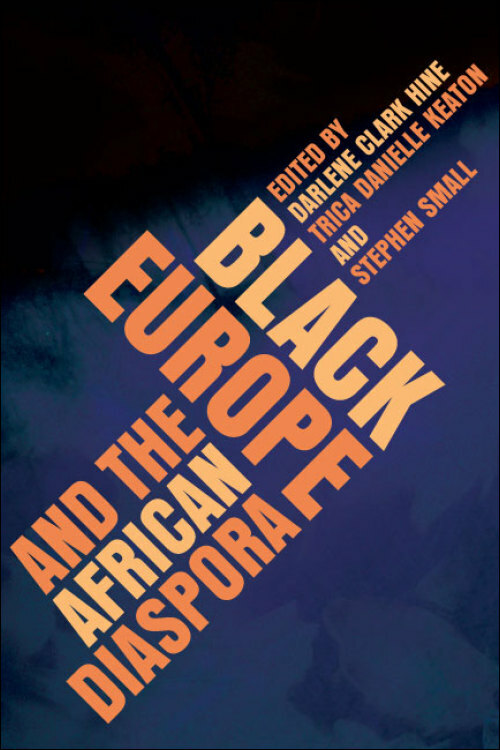 This interdisciplinary and multi-disciplinary collection penetrates the multifaceted Black presence in Europe, and, in so doing, complicates the notions of race, belonging, desire, and identities assumed and presumed in revealing portraits of Black experiences in a European context. In focusing on contemporary intellectual currents and themes, the contributors theorize and re-imagine a range of historical and contemporary issues related to the broader questions of blackness, diaspora, hegemony, transnationalism, and “Black Europe” itself as lived and perceived realities. Contributors are Allison Blakely, Jacqueline Nassy Brown, Tina Campt, Fred Constant, Alessandra Di Maio, Philomena Essed, Terri Francis, Barnor Hesse, Darlene Clark Hine, Dienke Hondius, Eileen Julien, Trica Danielle Keaton, Kwame Nimako, Tiffany Ruby Patterson, T. Denean Sharpley-Whiting, Stephen Small, Tyler Stovall, Alexander G. Weheliye, Gloria Wekker, and Michelle M. Wright.